Burst pipes aren’t only a winter problem. They can happen at any time. A burst pipe can be a nightmare of a hassle, which causes water to leak into your yard or home, and can result in damage and expensive bills. Occasionally, the only problem you will notice is reduced water pressure, but even this small inconvenience can be indicative that plumbing maintenance and repair are required. This can be the symptom of a leak from a burst pipe or other issue allowing stray water to slowly damage the foundation of your home by collecting mildew and mold. It is important to know what can affect your home, so you know what to do in case of an emergency. Here are three of the most common causes of a burst pipe year round. While tree roots are one of the most common causes of plumbing repair and maintenance, they are often talked about the least. Roots grow naturally following the direction of sources of water. 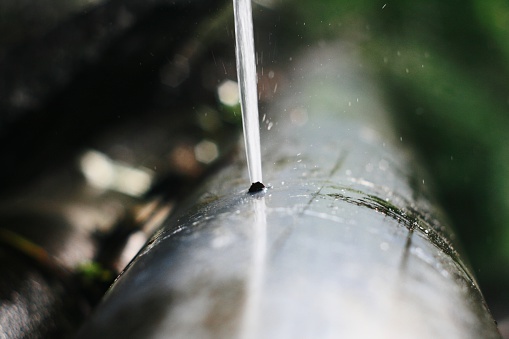 A weak point in a water line can cause tree roots to wrap around and squeeze until you have a burst pipe situation on your hands which requires plumbing maintenance. While cold weather is infamous for pipe damage, corrosion caused by a pipe aging past its point of use can lead to extensive plumbing maintenance. In older homes, especially those built before 1970 that have not been updated, older steel piping and pipes made from other outdated materials can lead to this eventual issue. This can be avoided entirely with yearly plumbing maintenance, which keeps you on top of small problems before they become large expensive ones which blindside you. Environmental changes can lead to a burst pipe. Construction near your home can cause soil to shift and negatively affect weight distribution on your pipes, causing their collapse. If you see major construction near you home, inform the workers of any water or sewer lines. Does A Burst Pipe Have You Looking For Plumbing Repair? We can help with that. Looking to replace your toilet? Give Master Plumbing & Mechanical a call at 301-650-9100 and let our experienced plumbers get the job done right. This entry was posted on Friday, July 29th, 2016 at 7:04 pm. Both comments and pings are currently closed.